Dress your home in style! Make the most of every fabulous morsel of every favorite yarn. 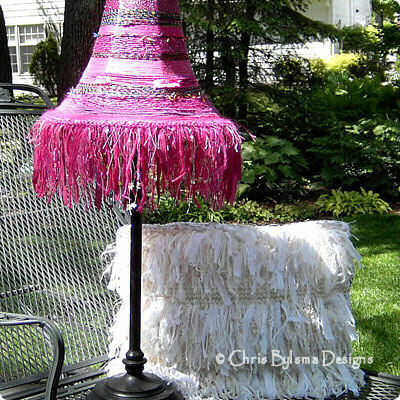 Lamp Shade: 5 sts/inch on #5.